For the Christmas season this year Liquid Church are doing things a little different. 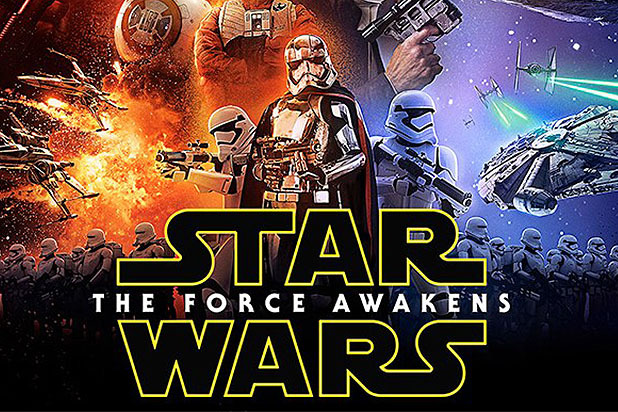 They have coupled the expectation of the release of the new Star Wars movie â€œThe Force Awakensâ€ with the biblical story and expectation of the Christ child at Christmas. 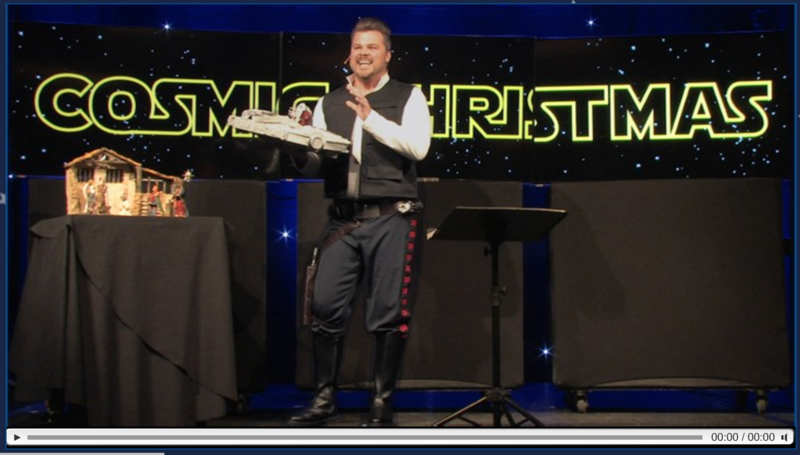 The preaching series is entitled â€œCosmic Christmasâ€ and is complete with Star Wars themed role out videos, graphics, and a Han Solo draped pastor. He reviews his love for the Star Wars movies and how it impacted him as a child. Pastor Tim Lucas (no relation to George Lucas) began the non-denominational church plant in 1999 that now has six locations (counting one online â€œlocationâ€) throughout New Jersey. This sermon series caught the eye of several news affiliates and their story has been broadcasted nationally. This is a great example of where a church has tapped into a popular trend among people and blended their message into it. 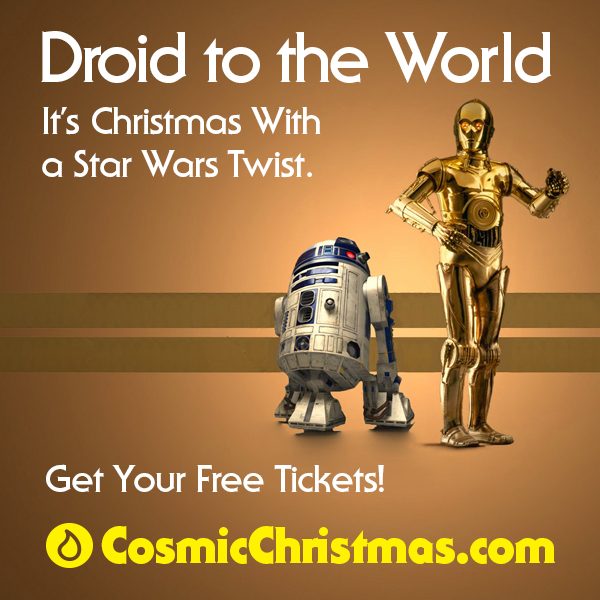 â€œCosmic Christmasâ€ and sermon series like it show the world that church can be fun. The pastor was dressed like Han Solo. Their nativity scene had Han Solo and Princess Leia instead of the shepherd dressed Mary and Joseph. When the world sees these things they stop and take notice. Humor and oneâ€™s ability to not take yourself too serious tears down walls of assumptions and false understandings. It lends itself to continuing the message. 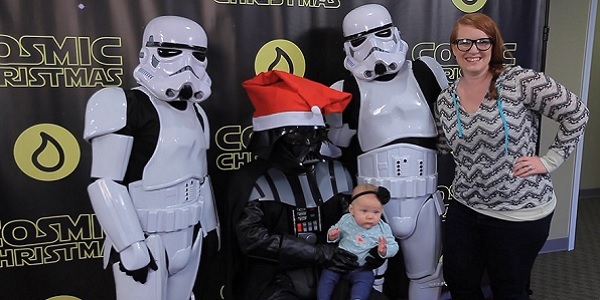 You could have photo opportunities with Storm Troopers in the lobby or the fellowship hall after or before the service where people will post them to their social media accounts thereby reaching thousands with the message â€œOur church is fun.â€ The theme also is easy to carry throughout the church (the childrenâ€™s area for example). The pastor could take pictures with people and use that time to engage in intentional evangelistic conversations. God gave us our imaginations and creativity to be used to bring Him glory â€“ and what better way than being creative in how we share His eternal message. Jesus was known for stepping out and doing the unexpected â€“ but as His disciples why do we feel that we shouldnâ€™t? If it is done well and with great care the message of the gospel becomes easier for the lost world toÂ remember or even understand. You take that which is common and attach the message of Christ to it, so that when they see it they (consciously or subconsciously) begin to understand a biblical principle. Creativity and themes such as this forces the church to plan further in advance. If you watch the sermon on their website there are prerecorded videos that play at specific times during the message, you would have to order or make his costume, etc. And donâ€™t forget those storm troopers in the lobby â€“ they need to get leave from the Empire. Yodaâ€™s schedule is crazy busy, especially with the release of the new film. All that takes time, galactic paperwork, and a great deal of planning by the church. Truthfully, many churches just do what they have always done (candle light services, same old hymns, same rotating sermons, same ole decorations, etc.) and Christmas becomes a time to check out mentally instead of honestly engaging the culture. As you listen and go through the sermon it became obvious to me we would have a declination of biblical interpretation. But donâ€™t let the minutia of doctrine take away from the bigger overall principle that they are engaging the culture in a way that people â€œget it.â€ Donâ€™t be too quick to dismiss what they are doing simply because they are denominationally different. Don’t be too quick to dismiss your idea because it is different than what your church culture is used to. It you are thinking, “they’ll never go for this,” you might just be on the right track.
. Â . Â . Â and may the force be with you. he uses the phrase â€œbinding Satanâ€ for example.